We ­searched for the elusive miracle pill for weight loss for decades, more precisely since the industrialization of food. We looked for it, but we might have had it all along and overlooked. Probiotics are the answer to many of our modern health issues, and weight loss is one of them. Studies have shown taking probiotics for weight loss is very effective. If combined with a modified diet and moderate physical activity, probiotics can help you lose weight at a steady pace until you reach a healthy level. What’s even more amazing is that you will get healthier in general and get more energy while taking probiotics. You will sleep better, and this will help you recover faster. But let’s get back to probiotics and weight control. Many are very skeptical, especially after trying so many diets and pills. Why would a probiotic regimen work when dietician programs didn't’t? Could it be as simple as eating fermented foods? As a matter of fact, yes, it is that simple. Well, let’s add in the mix some prebiotics as well. If you follow the dietitian’s advice, you should be getting that fiber in your diet anyway. Why does the medical world not know about it or prescribe probiotics for obesity cases? Let’s say that sometimes, the allopathic medicine is a little behind the latest scientific discoveries. They are also more reserved in giving prescriptions for unconventional treatments and for treatments that are not solidly backed by science. The medical world adopts new cures slowly, which is a good thing. It is good for our protection. My personal journey with probiotics is interesting since I had never considered using them for weight control. I never had a real problem with weight, so for me, that wasn't the concern. For years, I have been in a “warm place” with my body mass index – between 25 and 26. I know it isn't considered healthy, but since I never passed the 26 BMI, I never stressed too much about it. Yeah, I got the occasional comment from my family doctor or from the spouse and kids who were concerned about my health, but I always considered that borderline (I know I was wrong). I tried changing my diet and exercising, but nothing worked. I would lose a couple of pounds on the diet, but when I stopped, the pounds would come back. To resume my story, I started to take probiotics and eat fermented foods for eczema and arthritis. I also eat more various prebiotics, not just one type. The eczema got slightly better within weeks. This was encouraging. Arthritis, however, did not improve in a few months. The interesting fact is that I lost weight. In a few months (five months to be more precise), I lost ten pounds. My BMI is now at 24.2, which is considered healthy. I believe I will still lose a few more pounds because I don’t do much physical activity, hence not much muscle mass. What is most amazing is that I didn't change my diet; I only took probiotics and ate fermented foods. I changed my diet a couple of years ago, but that didn't make any difference for two years. I reduced the amount of sugar and meat in my diet. Now, fast forward to today, and my arthritis pain has decreased dramatically, which I estimate it will go away in another five months or so if I keep on with my probiotic diet. The fantastic news about L. gasseri is that not only does it help reduce belly fat and body weight, but it also improves metabolic function. It also reduces cholesterol and stimulates mood and physical activity. One of the most researched strains of L. gasseri is SBT2055, which is one of the most effective strains for many health problems. Unfortunately, we can’t culture L. gasseri SBT2055 easily, so we have to buy the supplement. The good news is that the supplement is not very expensive, like many other probiotics, and 2 to 4 capsules are usually enough to get results. 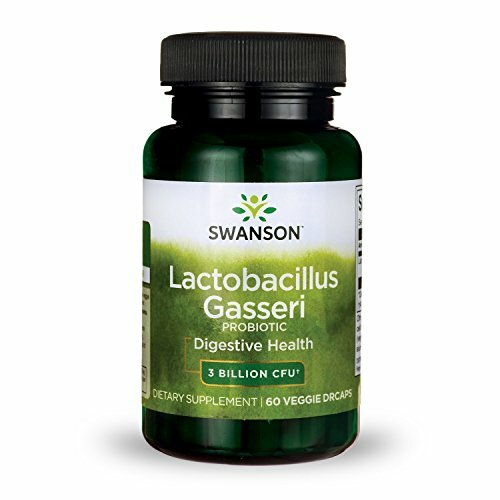 Lactobacillus gasseri is commonly found in many fermented foods, such as fermented vegetables. If you can include in your diet wild fermented vegetables, such as sour pickles, sauerkraut, or fermented dill pickles, you are certain to get some L. gasseri. But make sure you use wild fermentation because a starter will cause the culture to be dominated by the bacteria in your starter. The other benefit of eating wild-fermented foods is the variety of probiotics you are getting. By combining various strains, you are creating a synergistic effect. The various beneficial microorganisms help each other thrive in a balanced ecosystem - they are in a symbiosis. This article shows how the colonic microbiota can affect human metabolism and weight. The research cited in the article concludes that the ratio between Firmicutes and Bacteroidetes, the two major human bacterial phyla, can lead to dysbiosis. For healthy subjects, the ratio between Firmicutes and Bacteroidetes is about 80 to 20 percent. For obese subjects, Firmicutes bacteria accounted for more than 80%. The explanation is believed to be in the higher capability of Firmicutes to process carbohydrates, hence provide us with more energy. If this energy is not used, it’s going to be stored as fat. On a low-calorie diet, Firmicutes bacteria population decreases, while Bacteroidetes population increases. Similarly, during intense physical activity, Bacteroidetes populations show an increase. I wanted to bring up this because this shows that diet and lifestyle could be responsible for the balance of the bacterial ecosystem. In other words, taking probiotics and eating fermented foods will help, but it is not going to be enough. You will at least need to modify your diet and eliminate sugar. Having an active lifestyle will also help in the short and long term, but in my opinion, it is not necessary in all cases. Some people might obtain great results only by modifying their probiotic intake and changing their diet. Eating indigestible carbohydrates also helps in losing weight, although the mechanism is not very clear yet. It is, however, clear that prebiotics taken with probiotics will increase the benefits. The synergy created by combining prebiotics and probiotics is described as a synbiotic. What is even more interesting is that diets rich in animal products stimulate the population of Bacteroidetes. This means that a healthy, balanced diet should include a variety of foods, both animal and vegetal sourced. This also means that a carbohydrate-based diet will stimulate the overgrowth of the Firmicutes populations, which can lead to gaining weight. A probiotics regimen alone is not effective to combat obesity. The probiotics intake needs to be accompanied by a dietary regimen. This study proves it. Fermented Foods in Our Diet – The Missing Link? I mentioned fermented foods, but I talked only about a probiotic supplement, so what about cultured foods? Fermented foods have been part of our diet since immemorial times. There are many studies that link the consumption of fermented foods and good health, and cultured foods have made a return in many places after being slightly forgotten. It was assumed by modern nutritionists and scientists that fermented foods were only used by our ancestors as a way to preserve food. Modern discoveries in the field, however, showed that by fermenting foods, we get more than extending the shelf life of produce, milk, etc. There is comprehensive research on how regularly eating fermented foods can modify your gut microbiota in a positive way. In fact yogurt is the most discussed and best selling probiotic on the market. The consumption of fermented foods is documented to alter the gut microbiota, and to provide great health benefits. Reputable journals published articles on how microbiota and our health can be affected by diet. Nature publishes this article on how diet alters the gut microbiome. The Journal of Physiological Anthropology talks in another article about fermented foods, microbiota, and mental health. There is very little research on fermented foods for weight loss though, but I found a couple of references. This article shows that cultured kimchi can reduce body weight and body fat, if consumed regularly. Yogurt is shown to also reduce bodyweight. An article in the New England Journal of Medicine shows that regular consumption of yogurt can lead to weight loss. An interesting study showed that Lactobacillus rhamnosus CGMCC1.3724 is effective for weight loss and maintenance for women only but not in men. This shows that if one probiotic didn't’t work for you, another one might. There is not enough data for us to fully understand how probiotics work, but we have a better grasp now than 30 years ago. Other rhamnosus strains could be effective as well, for instance, Lactobacillus rhamnosus GG (ATCC 53103). There are a couple of studies involving Bifidobacterium breve B-3. The studies showed great potential in reducing obesity. The study was conducted on mice on a high-fat diet. VSL #3 was initially aimed at IBS sufferers, and it is one of the best probiotics for IBS. An interesting scientific study showed that VSL #3 is effective for weight loss. The team from NIH that studied how VSL #3 affects body weight explains the slimming effect of the blend by the capability of the microorganisms in VSL #3 to produce butyrate. An increase in butyrate in our colon will trigger the release the hormone GLP-1, which has an important role in regulating the satiety and glucose tolerance. Lactobacillus amylovorus (LA) and Lactobacillus fermentum are some of the latest discoveries in the field. In a study conducted by a Canadian team of researchers at CRDC, the two probiotics proved efficient in reducing body weight by reducing fat mass. You can read the study here. The study doesn't mention the specific strains used. There are many popular beliefs that by eating certain foods, we can lose weight. Most of the beliefs are unfounded. There is some truth, however, in this. If we apply the newly discovered knowledge that soluble fiber can modify our microbiome by selectively stimulating bacteria populations, we get a clearer picture. The old popular beliefs seem to have some scientific foundation. There are very complex mechanisms in the digestion/assimilation process. The simple calorie counting model is good because it’s a way to measure food intake, but it’s too simplistic and is never a long-term solution. Let’s take the humble bean, for instance; it is a relatively high-calorie food. However, beans contain resistant starch, which is a powerful prebiotic. Prebiotics can modulate your microbiome, hence make you lose weight. Besides resistant starch, beans also contain soluble fiber. Although most of that fiber gets transformed into digestible sugars during cooking, some of it is not. Garlic and onions have been touted as great slimming foods. The reason is the incredible amount of soluble fiber in these two foods. They are packed with oligofructose, a great prebiotic. Eaten raw, garlic and onion contain a perfect balance of soluble fiber and minerals. Cook them and all the fiber turns into sugars. Caramelized onions are delicious, but they are not healthy. Acacia fiber was also touted as a great weight loss help. There is a lot of anecdotal evidence that acacia fiber can help; however, there no scientific data. I didn't’t find much scientific research to support the theory of prebiotics helping with weight loss. Although the research shows that prebiotic fibers improve LDL cholesterol levels, there are not many studies to show clear evidence that it reduces body mass. Check this article for more ideas of prebiotic foods and supplements. Despite the general lack of scientific research in the field, there is an important discovery made by the same team that discovered the importance of Akkermansia muciniphila for our health. Prebiotics work for maintaining a healthy body mass. The team of Belgian scientists took their research a step further after the discovery of the relationship between weight gain and A. muciniphila population decrease. According to the team, the researched strain accounts for around 3-5% of our microbiota. They found out that in overweight people, A. muciniphila population is always lower than in healthy people. The Belgian team tried to see what happened if they supplemented obese mice with oligofructose. The result was amazing, and the population of A. muciniphila increased dramatically. This proves a direct relationship between foods, microflora populations, and weight control. I would like to conclude that, at least in theory, if we find the perfect combination of prebiotics, we should be able to manipulate the flora to bring it in balance. We could even stimulate populations that help you lose weight. That’s only a hypothesis, but Mediterranean and Asian diets work. This abstract suggests that a combination of fibers works better. While there is not enough data to draw a definitive conclusion, there seems to exist a correlation between the consumption of prebiotic fibers and weight. Eating a balanced diet and taking probiotic supplements is a great plan. And don’t forget your fermented foods. They are great! Here is a list of supplements backed by scientific evidence.